Construction on the $68.5 million, 16-story AC Hotel on Main Street in downtown Fort Worth will begin mid-2018, the developer said Wednesday after a special taxing district approved a $4.1 million incentive for the project. For a moment during the Downtown Tax Increment Finance District board meeting, though, it appeared the project might be derailed for lack of support. At issue was whether public dollars could be used to pay for a transformer that Oncor electric utility requires for the building. In downtown, Oncor requires an electrical vault for the transformer and two back-up transformers in the case of outages. Of the developer’s $4.1 million request, $3.1 million would be reimbursement for the electrical vault, which is typically built under the sidewalk. The money will come from property taxes generated within a designated area downtown. The money is reinvested in development instead of going into the city’s general fund. 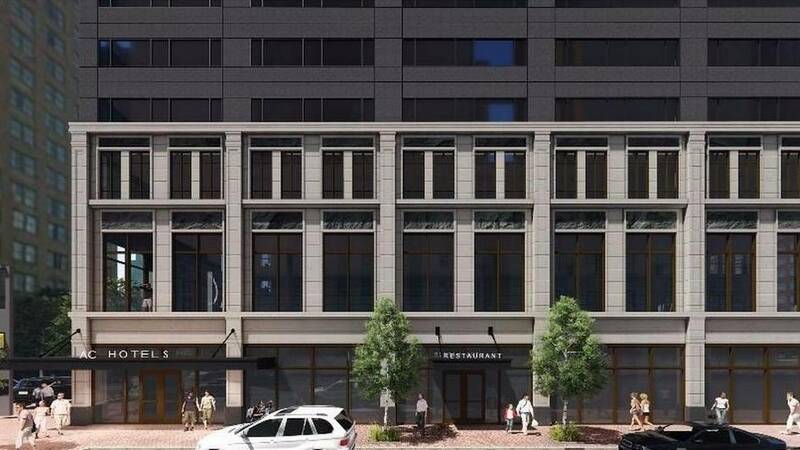 The 246-room hotel, a Marriott brand popular in Europe, will be built at the southwest corner of Fifth and Main streets next to the Kress Building. The land has been used as a 32-space parking lot for the past 20 years. It will take two years to build, according to the developer, Dallas-based Jackson-Shaw. The building will include space for shops and restaurants, meeting rooms and a rooftop patio. The project was approved by the Downtown Design Review Board in November. Michele Wheeler, Jackson Shaw’s president and chief operating officer, told the board Wednesday if the project didn’t receive the incentive it would not move forward. She said the company has been dealing with issues surrounding electric utilities at the site for nine months. Councilwoman Ann Zadeh, whose district includes downtown and who is chairwoman of the Downtown TIF board, said the transformer would bring electricity for lighting the public sidewalks, for example. The hotel, too, is fulfilling a public need for more downtown hotels. The Downtown TIF approved a similar request for the 25-story Frost Tower on Taylor Street, being built by Anthracite Realty Partners, an affiliate of Jetta Operating Co. That project received $4.8 million to cover infrastructure work in the public right of way, including an electric vault. Jackson Shaw bought the land from Sinclair Holdings Inc. in August, financing the deal with a $2.9 million note with Southwest Bank, according to deed records.